Capibola Blues Association was born in Barcelona in 2003 with the intention of bringing this style of music to a wide range of audiences with full social commitment based on an open conception of access to culture for all kinds of social groups. Throughout its history of involvement activities, the association has allowed to carry out a strong-willed umbrella project that unites within it, the informative, the training, the playful and supportive sides. 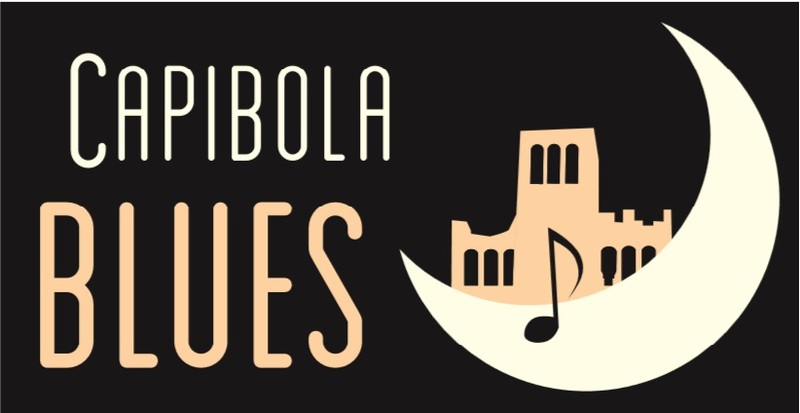 Within this project, Capibola Blues Association includes the celebration of Barcelona Blues Festival, Capibola Blues Nights, the Blues Pic-nic the Barcelona Blues School-Workshop. The Barcelona Blues Festival was born in 2003 as Prosperitat Blues Festival - Nou Barris, annually, but soon established itself as powerful musical event. After 10 years of experience and institutional recognition, achieved the milestone of becoming the benchmark of blues in this city today. Its aim is to bring to the public this style of music, which does not enjoy the media promotion, for free. The increasing growth over the years has been extraordinary, with programs that feature the best of national and international panorama of blues being watched by 7000 people during its last edition. Its informative and social commitment is reflected in the activities that are scheduled within the Festival, as instrument master classes, jam sessions, and social concerts, as evidenced by the actions and activities in hospitals and prisons. Notwithstanding the Association's activities have not been reduced but only to this, with the aspiration of achieving continuity in music and the desire to promote an annual circuit dedicated to monthly concert series, took out an expansion of their activities. They began to realize, since 2008, the Capibola Blues Nights, a series of concerts at popular prices quarterly programmed in different locations in the outskirts of town, the aim of which was the settlement and crystallization of a disclosure culture environment on the periphery of the city. In collaboration with the administration, they programmed, also from 2007, the Blues Picnic. A schedule of free blues concerts taking place in Parc Central de Nou Barris in an outdoor environment. The most innovative and influential project of Capibola Blues Association is the creation, in 2008, the Barcelona Blues School-Workshop. Pioneering project in Spain, and even in the rest of Europe, helps to fill a gap regarding education of this musical style in the city. The School has its location on the premises of Nou Barris Antaviana CEIP, beside the Ateneu Popular, emblematic point of the city's cultural scene, sharing situation with the Circus and Theatre School. The Capibola Blues Association's main objective is the approach of language and musical awareness (especially dedicated to the African American traditional root) to all types of receivers, understanding the access to culture and musical education as a right and not a privilege. That was the principal objective of the festival: a program of high level performances open to all kinds of public and completely free. And the willingness to extend this cultural initiative in time which led to extend the range of concerts to consolidate a monthly circuit, the Capibola Blues Nights, in different locations ( like the Ateneo Popular, Les Basses, etc.. ), contributing to one of the objectives of the Association: the decentralization of cultural activities from the city center, taking a series of actions and favoring the proliferation of cultural awareness environment to the periphery, where is not use to programmed such acts. A distinguishing feature of the Association, and represents another priority objective, is the desire to build a program of actions aimed at social sectors usually neglected and discriminated by the usual circuits. Social groups in need of care and consideration. It’s this desire to establish a series of activities that went beyond the Festival program, which led us to offer performances in various hospitals in the city of Barcelona, ​​and also including prisons. Playing in the women's prison "Wad-Ras", the prison inmates "La Modelo" of Barcelona and the juvenile facility "Can Llupià", as well as the University Hospital “Vall d'Hebron”. Centers, all of them, which we have offered totally free concerts by national recognized blues groups. Ultimately, Capibola Blues Association intends to carry out these objectives based on the concept of open and public access to culture as something that belongs to us all without compromising on quality programming or perpetuate a model that does not encourage the cultural vitality of our city. Always consider the line between culture and the cultural world as porous bodies, with the aim of breaking down barriers between artists and citizens.